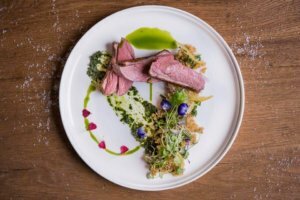 Young and precociously talented, Tony Moss has set out to create dining experiences wherever he may be. Born in Napier, Hawkes Bay in New Zealand, Tony was based on Waiheke Island in Auckland’s Hauraki Gulf for the past 9 years. After consulting in Shanghai he is now settled in Melbourne, Australia. 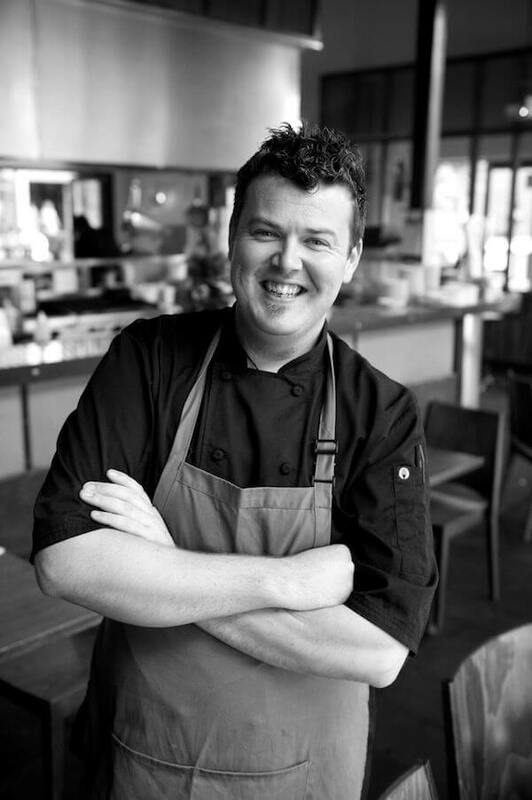 After finishing his London City & Guilds Diploma in Professional Culinary Arts in 2004, he won medals at the NZ Culinary Fair, got a scholarship to study from the Restaurant Association of New Zealand, and completed an internship at Heston Blumenthal’s The Fat Duck (the world’s number one restaurant in 2004) in London, just to name a few achievements. Tony has gained an international reputation for creativity and flair whilst using simple ingredients and twisting them with a little bit of Moss Passion. He has worked at the prestigious Te Whau Vineyards, headed the team at Stonyridge (world famous for LaRose Bordeaux Blend), created beautiful dishes at Vidal Wines in Hawkes Bay, opened the new Skinny Sardine Bar on Waiheke, and pushed Palm Beach Clubhouse into the Metro Top 50. Tony now works for Hilton Worldwide in the new DoubleTree by Hilton Melbourne’s signature restaurant, Platform 270. Tony strives to involve himself in all things culinary, and is always open to chatting about your next culinary experience. Tony was friendly, professional and explained each course and where the food came from. The food looked sensational and tasted brilliant. Tony was absolutely fantastic – the food was delicious, served beautifully and cooked every so seamlessly in our home. We had a wonderful night, Tony and our waitress D arrived early. Food was great and the service was outstanding. The appetisers were wonderful and the meal was great without being amazing. the petit fours were very ordinary which was a bit of a disappointment, but I am sure next time we can work together more to improve on that. We were so impressed with Tony and his level of experience and quality of food. Tony was on time, polite and happy to accomodate our wishes. Our guests loved that he explained each course, and everyone loved the menu and said their meal was delicious. Thank you for making it such a wonderful night. Tony was early, pleasant, helpful by taking photos, not fussed by family chaos and cooked excellent food. We could not have asked for anything better. Ali the server was stunning! Charming, efficient and unobtrusive. She anticipated our needs beautifully. It is early morning after my daughter’s 40th birthday dinner and I just wanted to express my delight and thanks. our guests so efficiently. I would not hestitate to recommend Tony and At Your Table to my friends! From the moment Tony Moss walked into our home I knew it was going to be a wonderful night. And what a night we had ! The food Tony served us was truly sublime, from the delicious canape’s to the 3 course meal, which was so delicious we couldn’t really pick a favourite course, nor could our Guests who were suitably impressed with Tony’s engaging personality , he explained each course as it came to the table, and chatted happily with everyone. Nimz was our delightful wait staff Lady, she did a wonderful job and impressed us by remembering all 12 guests names right from the start of the dinner party. To be able to have a Dinner Party in your own home and not lift a finger is truly a divinel experience, one I can thoroughly recommend. The kitchen was cleaned up beautifully, and I was able to retire at the end of a very late but fantastic night, only having to put a few glasses in the dishwasher. Thankyou to Ellie and staff from “At your Table” for making this whole process so easy, and again to Tony Moss, thankyou, you are truly an amazing Chef , our friends will be talking about our fabulous dinner party for a long time to come, and I already have plans to have you back for Con’s 70th Birthday later in the year. Con & Kerry Stambanis. Canterbury Victoria.